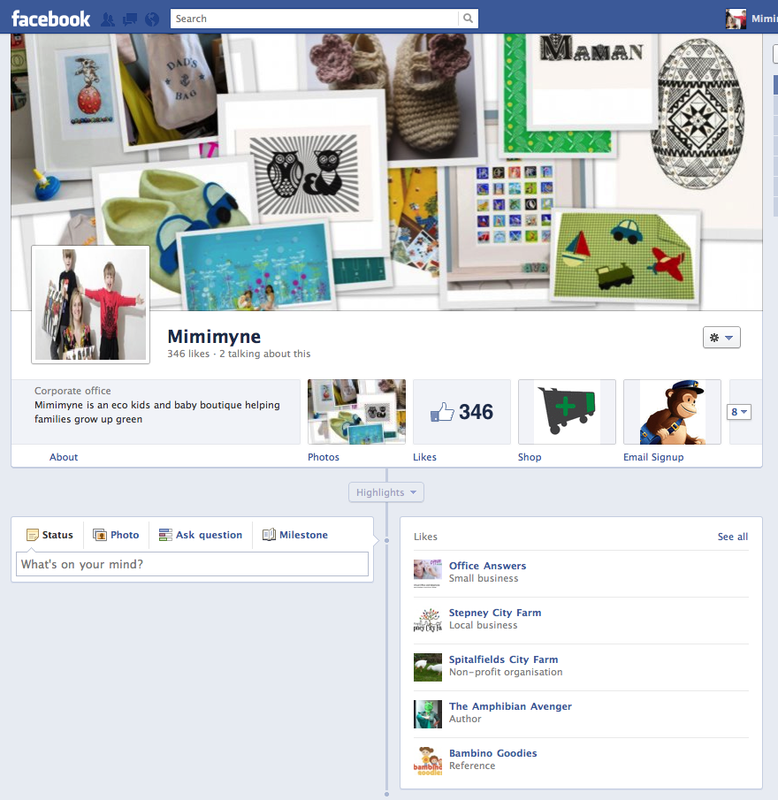 Facebook is switching all Facebook Business Pages to the new Timeline design. This change rather crept up on me, but I managed to get ready in the end. I thought I’d blog a few notes for those who are still trying to figure out the changes that have been made, especially other small businesses owners like me without a lot of time on their hands. 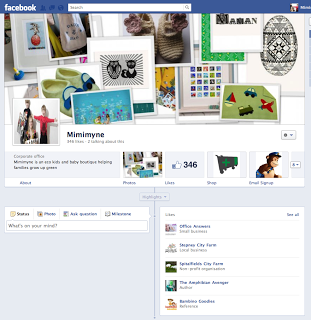 First of all, to see how your page will look you have to activate Facebook Timeline Preview. There should be a Preview tab at the top of your page – if not, go to Introducing New Facebook Pages and press the green button to preview your page. Ta da! What you will probably notice immediately is a gap at the top of the Page where you should put your Cover Photo (just click Add Cover Photo or Change Cover Photo and upload or select from your photos on Facebook). This image should ideally be 851 x 315 pixels in size and I recommend that you make this a priority before all the Pages are switched over on the 30th of March. Businesses are not supposed to put any promotional material or text on here. It’s quite hard to come up with the right image if you are a business selling all kinds of different products, so I settled for a collage (made for free in Picasa and edited with Gimp). I’m going to adjust it seasonally to show off different products from my range. Your Apps will be displayed below the Cover Photo as square buttons rather than tabs as they were before. The default Photos folder always comes first on the left. You can change the order they come in by clicking on the little pencil icon on the top right hand corner of each button. An option to swap places with another button will come up. You can also customise the ‘cover’ for each App, if you like, by adding an image. For a business, it makes more sense to add Milestones than it does on a personal Facebook Profile (where it often feels like bragging – at least, to me!). Milestones are new product releases, reviews, awards, important dates and so on – you can add them via your Status bar which displays just below your cover Photo. They will display on your Timeline at the appropriate date once you have added all the details. Don’t forget to check, and if necessary, edit your About section, which appears at the bottom left of your cover photo just above your Status bar, as it is very prominent int he new Facebook design. ‘Like-gating’ – asking Facebook visitors who are not fans to Like your page so they can get a special offer or promotion – is apparently something Facebook is not keen on, as they’ve made it more or less impossible to create a custom landing page for visitors. Instead, everyone arrives on the Timeline. It is possible to create a custom landing page for adverts, though, so you can create an advert for a particular promotion or offer for non-fans to entice them over. I recently came across a helpful article on Alternative Tactics to Like Gating which explains some other ways to try and increase your Likes. Importing your blog as Facebook Notes has been discontinued for a few months now, however it is still possible to import your blog using Networked Blogs, and I’ve switched to this in a bid to get a little bit of my life back! I’ve set mine to publish on my Timeline via Syndication. When you are ready, press Publish – or you can just wait for Facebook to do it for you! Please visit my Facebook Page and let me know what you think – or if you have any comments please leave them below.